I was very pleasantly surprised by all the positive feedback I received about my Borage and Mustard Family tutorials. 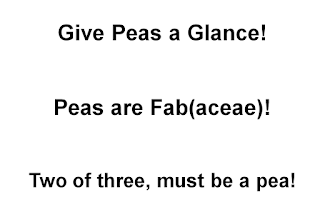 Lots of plant people out there, a number of whom asked that the Pea family tutorial start sooner, rather than later. I'm happy to oblige. Two of three, must be a pea. Remember the three Fs? Foliage, Flower, Fruit? 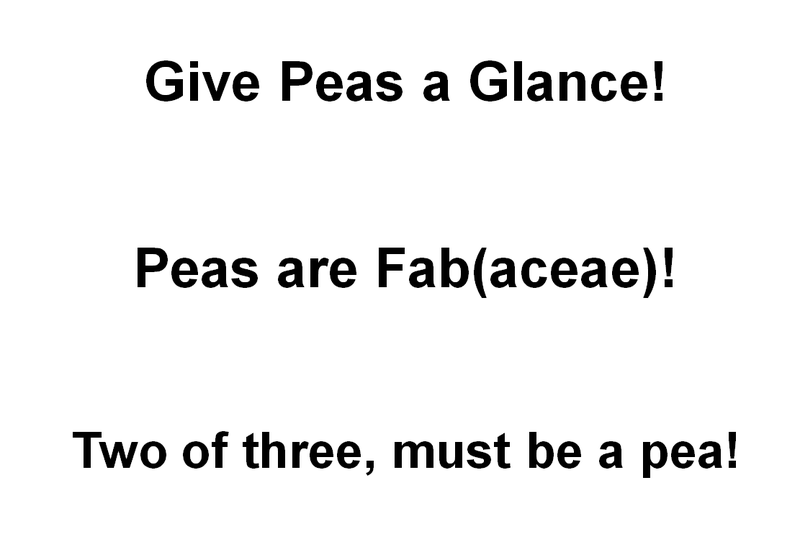 If (at least) two of them display typical pea characteristics, we can say with confidence that the plant in question is in the Pea Family. What are these characteristics, you ask? Tomorrow, I'll show examples of the typical pea foliage.